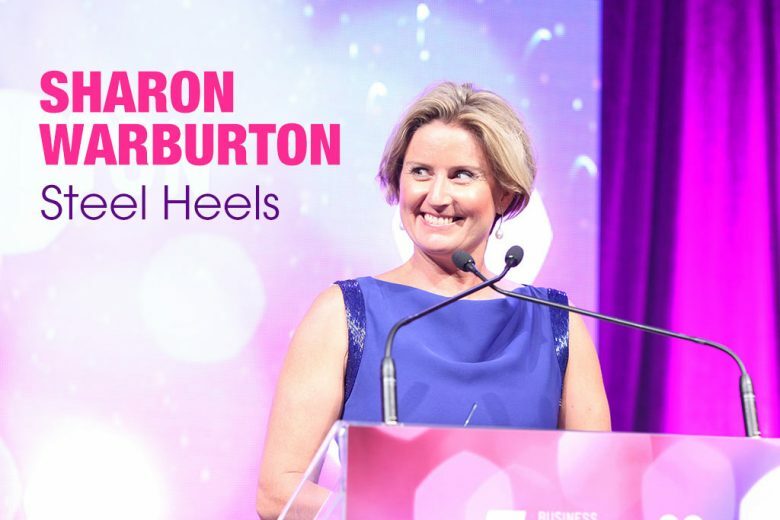 Single mum Sharon Warburton has spent her career climbing the ladder in male dominated industries. Today she’s using her success to help the women following her. We find out what inspires her, and what women can do to help themselves. I studied accounting at university because when I was at high school I worked in the local supermarket on the weekends counting cash and calculating the pays. My supermarket boss told me I was good with numbers and that I should think about being an accountant. Frankly I believe we are way too young to be making life long career choices at aged 17 but I am grateful that I chose a career that was a great base from which to grow. While I started my career as a chartered accountant and continue to utilise that foundation my current role is as a strategist. You’ve spent much of your career in male dominated industries. How did you find it? It is a myth that construction or mining are not safe places for women or that females can’t have great careers or succeed in construction or mining environments. You can have a successful career and you can have a very fulfilling one in a safe and respectful environment. The myth is not helped by the stereotypes that we have about the ‘grubby builder or miner’. There are certain assumptions women make about how men work and how they behave. I have always been open-minded and have never made career decisions based on assumptions I had not tested. There was only one place where I didn’t feel respected, and that was during a two-year stint in Abu Dhabi where I was the only female on the executive team. I certainly didn’t feel valued or respected during my time there. I found that incredibly challenging and incredibly demotivating. But from every experience there is a positive. I take away from my time in the UAE some incredibly powerful learnings which I apply in Australia to make sure that we continue to improve the way we treat people who are a minority. I always saw the low female participation rate in the mining and construction industries as an opportunity. An opportunity to be the first woman to achieve something unique. I was motivated to achieve that. Others are less confident in this environment so I play a very visible role model in my community with aim of helping those women feel like they are not alone. Throughout your career you’ve made a habit of smashing through glass ceilings. What’s the secret? Believing in myself. Making sure my mind is focusing on the positives, looking for and creating my own opportunities. You have to be feeling confident to do this well. Not being afraid of hard work – from hard work comes opportunities. Having great mentors throughout my career. Even today. Recognising we are always learning. Finding a sponsor within my organisation who is championing my growth and development in the company. How did becoming a mum change your career and attitude to work? Being a mum has not hindered my career in any way. My career has continued to grow. Albeit by working very differently to how I did before Miss Chloe was born. I became a single parent when my daughter was very, very young. That forced me to change my attitude to the way I work: I could no longer be a globetrotting workaholic because it was really important for me to spend quality time with my daughter. It was a huge transition for me to work very flexibly, very balanced hours, and to break my mindset that said I had to be globetrotting workaholic (working much harder than my male colleagues) to succeed. I am much, much more efficient at work these days. My motivation is very high to get through my work as quickly as possible so I can get home to Chloe. I experienced and struggled for many months with a ‘walk of shame’ when leaving the office when most of my colleagues were still there. I was used to being one of, if not the last one, to leave. I felt guilty and felt my colleagues were thinking I was not earning my keep or pulling my weight. I was surprised how long it took me to shake off these walk of shame feelings. Today I am a very visible advocate for work life balance and for encouraging everyone in the workforce to work flexibly. Most importantly I am mum to five-year-old Miss Chloe. Executive Director – Strategy & Finance for Brookfield Multiplex Australasia (large scale global construction company). Non-Executive Director for Fortescue Metals Group (the world’s fourth largest iron ore miner). Chair of the FMG Remuneration & Nominations Committee. Member of the FMG Audit & Risk Committee. Part time member of the Australian Federal Government’s Takeovers Panel. Director of Perth’s Princess Margaret Hospital Foundation. Board Member for the Curtin University Business School Asia Business Centre and Committee Member and Treasurer for arcs, a counselling service specialising in adoption and the reunification of families. I also mentor many and I am the founder of the online mentoring site Steel Heels. Why do you think mentoring is so important? Too often I hear from young women who have resigned that they felt unsupported and alone. They could not see role models in their organisation. Mentoring can overcome this. Mentoring also increases our self-confidence. From all the mentoring I do I know the lack of self-confidence is having a significant impact on women breaking through today’s ceilings. My mentees tend to have the skills and the intellect but lack the self-confidence. A key focus of my mentoring is to increase their self-confidence and let their capability shine through. When women are working in an environment where they are the minority my mentoring experience tells me that there is a risk their self-confidence evaporates over time. Mentoring helps sustain and grow their confidence. What’s the biggest challenge you’ve faced in your career, and how did you overcome it? See comments above re my time in Abu Dhabi. During this time I leaned heavily on my mentors. And my strong, wide support network (friends, family). I put extra emphasis on my ‘work/life balance’ by keeping fit and active, eating well and getting good quality sleep often. I had the courage to realise this was not an environment for me so I resigned and returned to Australia where I am much happier. Too often I see people try to tough it out for too long in an environment that is not right for them. I encourage them to put their energy into finding a new environment that works better for them. We are not failing by acknowledging something is not for us. In terms of my career it is having been recognised for my mentoring, my support of work life balance and for being an outspoken supporter of the elimination of the gender pay gap. My work in these areas was recognised by winning the 2014 Western Australia Telstra Business Woman of the Year award and more recently the 2015 NAB Women’s Agenda Mentor of the Year award. You’re passionate about helping women to achieve more, and improving diversity, pay equality and retention in male dominated industries. What are you doing about it? What aren’t I doing about it?! I speak often around Australia about my experiences, my thoughts and my ideas to drive meaningful change on these matters. I participate in studies exploring these topics. I expose the impact of a lack of focus in these areas in business through sharing stories. I make myself a very visible role model to encourage others to focus on these important issues. I deliberately make time to mentor emerging male leaders. Many of them will be our leaders of tomorrow so I try to expand their minds, highlight their biases and work with them to develop their strategic thinking (particularly around diversity). And I created Steel Heels with the aim of increasing the self-confidence of working women so that they do can feel confident to do more in their workplaces. So they too can be our leaders of tomorrow. Steel Heels is an online mentoring platform for working women. We provide free mentoring support when people want it through the internet by sharing stories with our Steel Heels tips for what to do in situations. And from August 2015, for members we will provide step-by-step toolkits setting out the mentoring tips for certain situations that I have given my many face to face mentors over the years. Our toolkits also have real examples of what I do in those situations. For example, how I prepare for an interview or how I created my personal brand strategy. The vision of Steel Heels is to increase the self-confidence of working women all around the globe. If I am successful then I would have contributed to more women breaking through current barriers and climbing ladders in the workplace at a faster pace than is happening today. I would also have succeeded in creating a culture of sharing stories and recognising the value to all of us from learning from each other. Regardless of where we are on the corporate ladder. Somebody different every week. From sport stars, community leaders, politicians, kids who are doing it tough, business leaders. And especially emerging leaders. I am inspired regularly by men and women. Currently it’s Yassmin Abdel-Magied. Her Twitter account describes her as a: ‘Motorsport Manic & Mechanical Engineer. Writer, Reader. FIFO (Fly-In-Fly-Out) on oil/gas rigs. Realistic optimist, trying to do my bit. Love Stories’. She is the founder of Youth Without Borders and her TED talk is well worth watching. What advice do you have for women working a male environment? Believe in yourself. Think creatively. Don’t wait for opportunities – go create them then seek out open-minded people to work with to bring them to life. Get mentoring support so you don’t feel alone. Find your champion in the organisation. Smile often. And have the courage to go where other women have not been before! You can learn more about Steel Heels on their website. You can also follow them on Twitter.